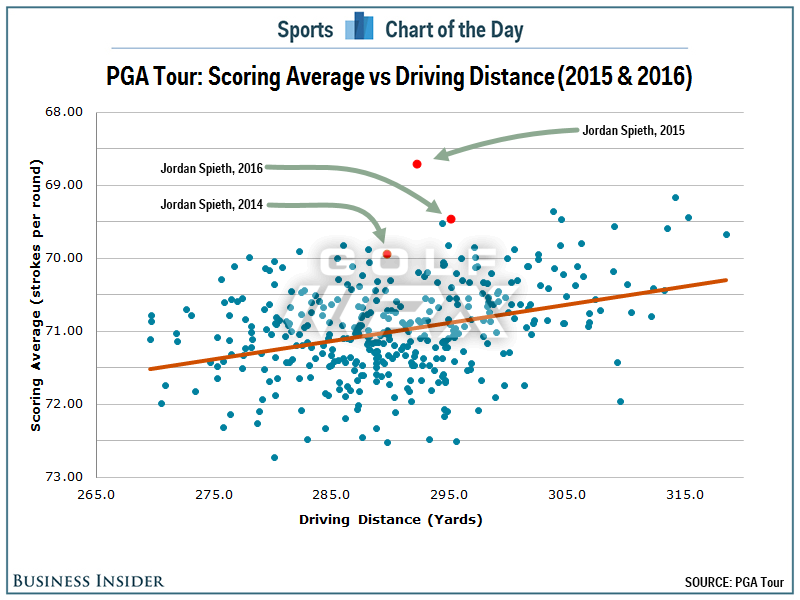 Yes, very weak correlation between driving distance and success. I read the Titleist book report and it made me laugh. Using inferior stats like putts per round and driving accuracy will not help you build an accurate statistical model. Come on, Titleist, no P-values in your correlations? I'm against bifurcation and a rollback, but this PowerPoint (lol) is funny. "Where's the harm?" sounds like a high schooler getting his buddy to try a cigarette. Yeah, very little evidence that distance leads to success. Owned, nearly exclusively, by long drivers. Different skills? Absolutely. Players are maximizing their abilities under the regime that they live within. There is a relatively high payoff for juniors who put everything into hitting the ball far as priority #1 - so that's the skill they've invested in. And they're really good at it. I suppose. Mostly agree. I'm not at all good at voicing my thoughts clearly. I suppose it is just different skills. But I can't help but notice and think about how many juniors we have that rise to higher levels now. And makes me wonder aboot the correlation between ability and equipment vs past ability and equipment. Surely here isn't any chance that more talent is being born today ? And there isn't more teachers. It has to be because of equipment and tech . At least partly. Rewind equipment. Delete trackman and I wonder how many fewer there would be ? My round about point was that if pgarox wants to see the best skill on display then more forgiveness and a straighter ball isn't the best way to see that. Not sure how that can be argued. That is based on your definition of "best skill". Given there is a 50 yard variance in the average distance Rory hits it versus Furyk and many others I'd say athletic ability is a key skill. If it was just technology (Trackman, drivers and golf balls) as you suggest wouldn't everyone would hit it as far as Rory? But a hole over 470 yards, on a course designed over 30 years ago was created to accept a long iron or fairway approach. Reminds me of the story of Payne Stewart and the USGA before a US Open. At Olympic as I recall. Stewart was complaining about the setup, said a certain hole that played as a par five for the members but as a par four for the pros was unfair because the green was too small for such a long approach shot. The official responded with a question for Payne. Would he promise not to go for the green in two if played as a par five? So this talk about skill involved seems odd to me. It's not equipment that allows these players to be longer than players of the past. We'll sure some of it is but mostly it's the size and athleticism of the players. 40 years ago the "ideal" golf size was 5'10". Think guys like Tom Kite. Today 4"-6" taller is the norm. Larger arc, stronger and faster. Yes, some will mention a Justin Thomas or Fowler. Think of them as the modern version of Paul Runyan. Small but having tons of swing speed. As far as short game skills needed being diminished? Pffttt. It was a lot easier to stick a balata around the green with a 56° wedge like Seve to relatively slow soft greens than to do the same with a 60° look wedge to rock hard greens running 13+ on the stimp. Different? Yes. But every bit as much skill is needed today. Yeah, around the margin, no doubt there are guys who are amazing players who don't quite make it to the show (let alone become stars) because they don't have the distance to compete...even if their mid-iron game is superior. If you have below PGA average distance, an average short game, and the best mid-iron game in the world...you're probably selling insurance somewhere. But that doesn't seem wrong to me, it seems like life / competition. 40 yards longer drives on average, to gain ONE single stroke! The graphic also shows, that you are able to gain more than TWO strokes over the field with your short game - Jordan Spieth! Don't agree. Each to their own! 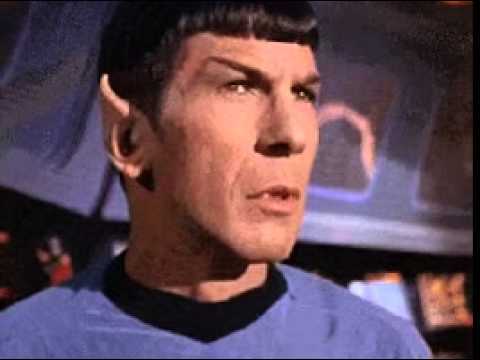 I find this ball debate tiresome. Courses can hold their own by conditioning. Very firm greens and fairways can make scoring difficult. They get perfect bunkers on tour, not like your local muni. Strategic pin placement is a must. When the greens are firm they will not challenge a tight hole position. If you watch these guys fly it to the hole and it stops. Tight lies around the green can make up and downs harder. My favorite holes are the drive-able par 4 like Rivera. That hole holds it own during that tournament. Heck there are guys that can hit a three wood on but, you see a lot of bogies and doubles on it. As I have said on plenty these type post. These guys now are in better shape and have more technology that can assist them to be the best golfer they can be. I hear that these guys are not as talented as professionals before and that's bull. As it says "These Guys are good". I see a lot of people over the course of a year hitting balls. Very ,very few hit it long. If you look at the tour and the firm conditions that they play in I would like to see just the carry measured and that would be a true measure of distance. The TM stats you see on TV are only carry as the monitor can't actually see roll(or it hitting the ground in all actuality). The guys hit it a long way and they truly are able to fly it 300+ for the longer players. It's not just the condition of the fairways playing a part. My short game in fairly good, I have had more than a couple of scratch golfers tell me they wish they had my short game. BUT, the short game isn't ****, there is no "BOOM BABY! ", so for the most part it gets short shrift. How often do you see ads on TV promoting a piece of equipment that will enhance one's short game, versus ads that promote distance? I am waiting for an advertisement promoting a putter that will give the golfer 20 more feet of role. Distance is good, don't get me wrong, but it seems to me it has become an obsession to the exclusion of other aspects of the game that are just as critical. So this talk about skill involved seems odd to me. It's not equipment that allows these players to be longer than players of the past. We'll sure some of it is but mostly it's the size and athleticism of the players. 40 years ago the "ideal" golf size was 5'10". Think guys like Tom Kite. Today 4"-6" taker odd they norm. Larger arc, stronger and faster. Yes, some will mention a Justin Thomas or Fowler. Think of them as the modern version of Paul Runyan. Small but still having tons of seeing speed. If that's what you guys got out of the chart, I don't know what to say. Ignore the obvious pattern and look at the one outlier. You're correct, in the 2016-16 season, Spieth's advantage on the field was short game and putting. Strokes gained short game was .61, putting was .68, and off the tee was .64. Approaches were +.03, meaning he was only average in this area. The point of the chart and the accompanying article was that it was an outlier season, one unlikely to be repeated. It shows the results of one player, in one season. Can someone please refresh me on the 1/3 driving distance, 2/3 shot game thing? Is this a new equation someone came up with? 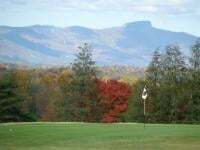 Where there many 469yd par 4's in the past? The stats show a bunch up but when you watch a round of golf, the freaks still have a distance advantage. Spieth might hit the ball 315 on a given hole that Rory hits it 345, there is still a disparity in distance regardless of what the averages show. We've also seen that distance is just one aspect of the game, Furyk is the shortest hitter but he also has the only 58, proving in the end those with the best overall skill set find their way to the top. See 2013 US Open at Merion CC. Justin Rose +1 winning score ,course was shade under 7,000 yards. Four of the Par 4's in the 1973 US Open (Oakmont) were 450+, including #1 at 469 and #10 at 462. Are we seeing a lot of / more events with scores in the -25 range? The 1999 PGA Season had 6 tournaments where the winning score was -20 or better. There have always been low scores. No - but there wasn't that need. A long par 4, say 425, played driver (let's say 260, which was long) leaving 165, probably 6 iron, maybe 5. And the green was designed to have that type of iron played into it. Johnny Miller, no slouch for distance, played an exhibition on the course where I caddied as a kid. #12, straight away par 4, 451 from the tips, slight wind in his face (slight). Driver 3 wood to the front edge. Today, good players hit 7 or 8 iron under same conditions...less without the wind. The green is HUGE. If you were designing the hole to accept a 6, 7, 8, or 9 iron approach, the green would easily have been made half that size. I hated that hole...even at white tee distance (members). ..it still played around 410...still designed to hit mid-to - long iron for approach. And if you tried to hit the tee shot really hard but caught it a bit off center, the curve on the ball was crazy wild. The modern ball just doesn't curve as much, so you can wind up and try to hit it as far as you can with less of a "penalty" for a miss hit. As stated in a prior post: longer tee shot/shorter aporoach out of the rough is still easier than a shorter approach from the fairway. Thanks as I have no idea about the lengths of some of the holes from years past, just an idea of overall length of the course. Yea, we have. I just looked at every leaderboard on the PGA Tour for the 16-17 season and there were 12 events with at least a -20, 3 greater than -25, and 1 event at -30. As well, there were 3 more events at -19. Don’t get me wrong, I’m not against this, I’m just saying this is what others are upset about regarding scoring and overpowering courses. That was also on a resort course designed to accommodate the general public. Of course they are going to tear it apart. However, I don't think the ball is the only reason. These guys are so dialed in with their swings (Thanks Trackman), club fittings designed specifically to their swings, their workouts to gain more flexibility and strength and when the course isn't wet, the roll they get from fairways. This isn't just a "ball is going too far" argument. The ball is contributing sure, but it's not the be all end all to why Pro's are hitting it so far. Fair. I just spot checked a few of the big events and it didn't seem that far off. It's interesting (to me) how many of these super-low scores are in alternate field events and other borderline exhibitions. Look at some of the longstanding events, like the Canadian Open, and the record to par is in 1952.